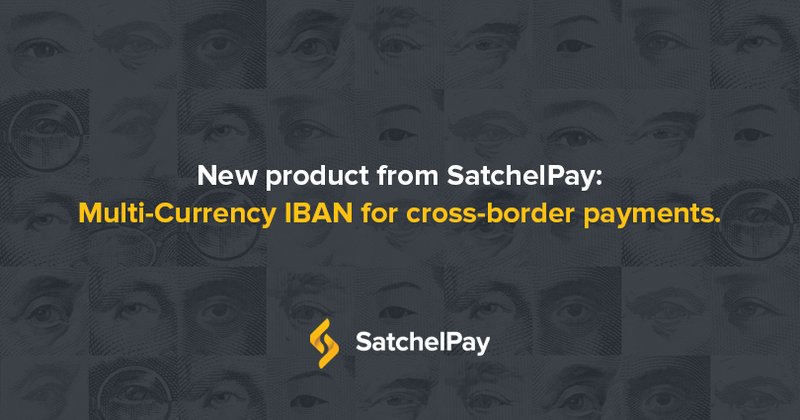 We are excited to announce the launch of a new product from SatchelPay: multi-currency IBAN for cross-border payments. This innovative tool has an outstanding potential, allowing customers to send and receive money around the world in 25 currencies with a single account. The days when it was necessary to deal with loads of paperwork, logistical issues and high expenses in order to open accounts in each currency separately, are gone. It is now possible to avoid the struggle by taking advantage of the modern solution from SatchelPay, which is a perfect tool for an efficient management of holdings in different currencies. Among the benefits of Premium Plus are payments without currency conversion, fast payment processing, low exchange fees and absence of hidden fees. It is a perfect solution for companies and private individuals with customers and affairs around the world. Join us and enter the new era of convenient international transfers and payments with a multi-currency IBAN from SatchelPay!